Wikimedia Commons has media related to 1118. Year 1118 (MCXVIII) was a common year starting on Tuesday (link will display the full calendar) of the Julian calendar. Peace between England and Flanders is agreed. Enna mac Donnchada mac Murchada becomes King of Dublin in Ireland. Cu Faifne mac Congalaig becomes King of Uí Failghe in Ireland. Maelsechlainn Ua Faelain becomes King of the Déisi Muman in Ireland. The cantrefs of Rhos and Rhufoniog are annexed by Gruffudd ap Cynan, King of Gwynedd in Wales. The Archbishop of York is no longer required to be crowned by the Archbishop of Canterbury. Reconstruction begins on Peterborough Cathedral in England, destroyed by fire in 1116. John II Comnenus succeeds Alexius I as Byzantine emperor. 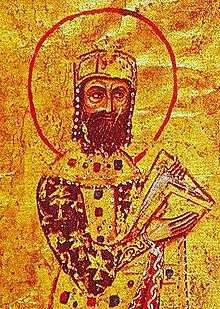 Đorđe, Vojislavljević ruler of Serbia, is overthrown by Uroš I of Raška. George of Duklja is overthrown by his cousin Grubeša. Radostl becomes Bishop of Krakow. Zbraslav, now part of Prague, is founded. Sylvester of Kiev becomes bishop of Pereyaslav. A rebellion against Henry I of England breaks out in Normandy. Alberich of Rheims becomes Master at the school of Rheims. Charles I, Count of Flanders marries Margaret of Clermont. Peter Abelard and Héloïse d'Argenteuil have a child and marry secretly in Paris. Her uncle Fulbert has Abelard castrated and both Abelard and Héloïse enter religious orders. Amaury IV of Montfort divorces his wife Richilde, daughter of Baldwin II, Count of Hainaut. Wulgrin III becomes Count of Angoulême. Gervais becomes Count of Rethel. Montlhéry Castle is dismantled by Louis VI of France. Magdeburg is almost destroyed by fire. Zwickau, Eisenstadt, Kirchgandern, and Wolfenbüttel are first mentioned. 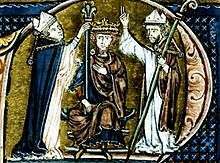 Otto of Bamberg is suspended by the Pope, and Norbert of Xanten defends himself against charges of heresy at the Synod of Fritzlar. 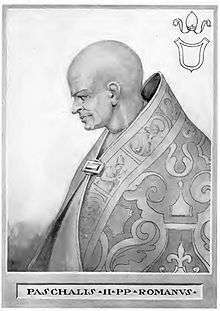 January 24 – Pope Gelasius II succeeds Pope Paschal II as the 161st pope. March 10 – Gregory VIII is elected antipope. The cathedral of Ferentino is completed. The restoration of Santa Maria in Cosmedin begins. The economic competition between Milan and Como drives the two cities to war. Upon the death of his brother Philip, Inge the Younger becomes sole king of Sweden. Þorlákur Runólfsson becomes Bishop of Skálholt. Pope Gelasius II grants the status of Crusade to the Christian effort in the Ebro valley attracting numerous Gascon, Occitan and Norman knights. December 18 – Alfonso the Battler expels the Moors from Zaragoza. The troops of Ramon Berenguer III, Count of Barcelona led by archbishop Oleguer Bonestruga capture Tarragona from the Moors. The Genei era begins in Japan. The Zenghe era of Emperor Huizong of Song China ends, and the Chonghe era begins. The Yongning era of Emperor Chongzong of Western Xia ends. David IV of Georgia captures Lori from the Seljuk Turks. David IV of Georgia settles a number of Kipchaks in Georgia. June 11 – Roger of Salerno, Prince of Antioch, captures Azaz from the Seljuk Turks. The Byzantine general Philocales captures Sardis from the Seljuk Sultanate of Rûm. Baldwin I of Jerusalem invades Egypt. Baldwin of Le Bourg succeeds his cousin Baldwin I as king of Jerusalem. Roman of Le Puy becomes lord of Oultrejordain. Joscelin I succeeds Baldwin of Le Bourg as Count of Edessa. Garmond of Picquigny becomes Latin Patriarch of Jerusalem. Suleyman I ibn al-Ghazi becomes emir of Aleppo. Ahmed Sanjar and Mahmud II proclaim themselves rival Seljuk sultans upon the death of Mehmed I of Great Seljuk. Bahram Shah becomes Ghaznavid Emperor. June 29 – Vikram Chola becomes regent of the Chola kingdom. ↑ Palmer, Alan; Palmer, Veronica (1992). The Chronology of British History. London: Century Ltd. pp. 59–60. ISBN 0-7126-5616-2. ↑ "Peterborough Cathedral website". Retrieved 2007-12-19. ↑ The Letters of Abelard and Heloise (Revised ed.). London: Penguin. 2003. p. x. ISBN 978-0-140-44899-3. ↑ McGrank, Lawrence (1981). "Norman crusaders and the Catalan reconquest: Robert Burdet and te principality of Tarragona 1129-55". Journal of Medieval History. 7 (1): 67–82. doi:10.1016/0304-4181(81)90036-1.